The head of Toronto’s public transit agency is floating a bold idea to address downtown streetcar congestion, but the proposal may irritate motorists who are fed up with clogged roads. 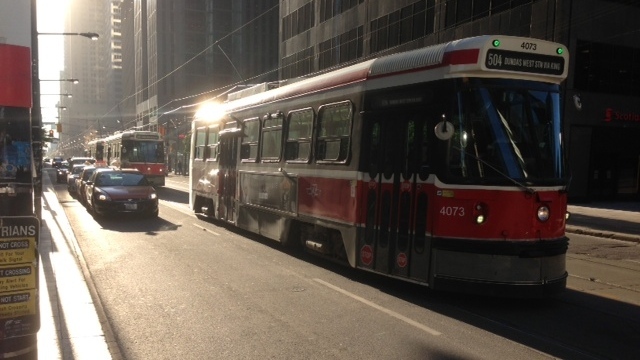 TTC CEO Andy Byford wants the city to consider taking cars off a stretch of downtown King Street or Queen Street to create a corridor for streetcars, at least during the morning rush. 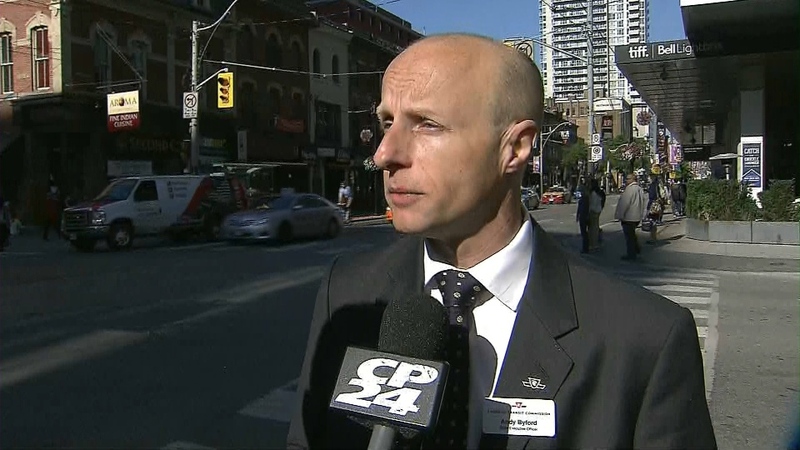 In an interview with CP24, Byford said a car-free zone on King or Queen - two busy routes where rumbling streetcars share the road with vehicles and cyclists - would help to prevent problematic bunching that result in gaps and service delays for riders. 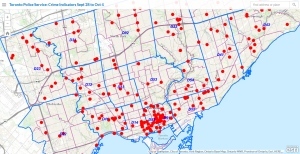 Byford said he raised the issue because he isn’t happy with streetcar service on King Street, the TTC’s busiest route with an average of more than 56,000 riders a day, because it is prone to streetcar bunch-ups. Other options include creating transit-only lanes or rephasing traffic signals to improve the flow of traffic, Byford said. Byford favours King Street as a car-free streetcar corridor, noting that the route will get even busier due to new condominium developments, but he identified Queen Street as a second option. He said he doubts it would be possible to take cars off both streets, but a study would identify the best options or determine that the proposal is not beneficial. While it would be off limits to general car traffic, a streetcar corridor could be open to cyclists, taxicabs or delivery trucks, Byford said. “I just want to make my streetcar service work better. I’m not doing my job properly if I don’t stick up for my customers,” he said. This is not the first time the idea of a transit corridor has been raised. Similar proposals were made at city hall in 2001 and 2007, but both attempts were thwarted. Also Monday's TTC board meeting, chair Coun. Karen Stintz is expected to move a motion asking staff to explore the feasibility of transforming King into a transit corridor during the 2015 Pan Am Games, the Toronto Star reported Thursday. Byford is reopening the debate as the TTC prepares to introduce its fleet of new Bombardier streetcars, starting next year. Routes on Spadina Avenue and Bathurst Street will be the first to get the low-floor streetcars. The streetcars are scheduled to be rolled out on the Queen route in 2015-16 and the King route in 2016-17, according to an implementation plan that is being presented at Monday's meeting. Some routes will have less frequent service, but the new streetcars will be able to carry more passengers and they will be more reliable than the existing fleet, the TTC says. 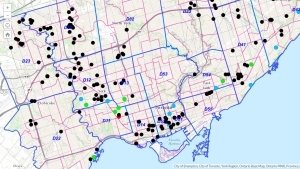 The city has already identified Adelaide and Richmond streets, sandwiched between Queen and King streets, as options for an east-west cycling corridor with separated bike lanes. TTC CEO Andy Byford speaks to CP24 on Thursday, June 20, 2013.